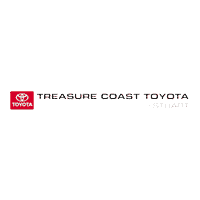 We’re proud to offer our customers the impeccable style, power, and reliability of the nation’s top-selling Toyota brand. Drivers love the popular Toyota models because they cater to anyone’s lifestyle! The Camry delivers a comfortable and quiet ride for practical drivers while the Corolla is an incredibly reliable and fuel-efficient compact sedan. Families love the spacious and comfortable RAV4 SUV while truck aficionados enjoy the durable and fuel-efficient Tacoma pickup truck. Not only do we have a Toyota for every family, but we also have a vehicle for every budget with our large selection of used vehicles. Stop by today and shop the savings you’ll treasure under the giant flag.